Browse: Home / Video / Going Down to South Park – Free Episodes Online Now! Following in the footsteps of Hulu, the creators and copyright holders of the animated cartoon South Park have decided to release all South Park episodes online for free of cost but supported by advertisements. In a huge contrast to content interrupting Hulu ads, the advertisements on South Park Studios appear on the site itself, and do not interrupt the episodes! Their site streams all these episodes and the streaming happens quite quickly. The quality of the video is also very good. I did happen upon a glitch where one episode (Mystery of the Urinal Deuce –hadn’t seen it before and the title reminded me of an incident on my dorm room floor in my freshman year at USC, but that story is for another post, another day) skipped forward six seconds at the start but otherwise the site runs flawlessly. So the site is cool and the idea works very well. I’m a big advocate of media such as South Park and other TV shows and movies being free and ad-supported. 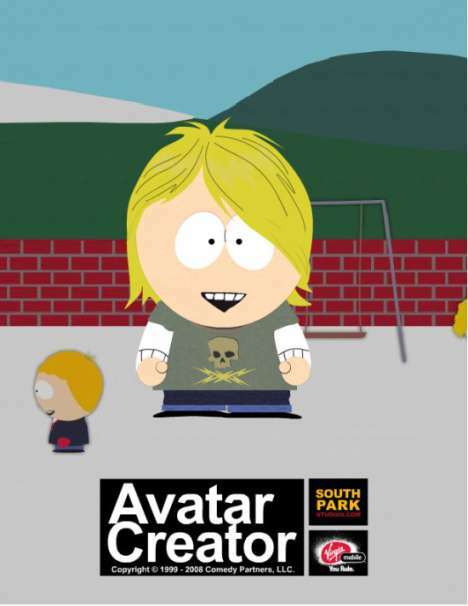 Another very sweet feature of the South Park site is the ability to create your own South Park avatars. The selection is a bit limited right now but you can still come up with some cool and unique characters. Look how happy I am in my grunge gear, towering over all the other kids at the playground. My, how times have changed. Happy grunge me has turned into a balding vigilante with a gun living in exile in Mexico. Well, at least I’ve got a mohawk mullet thing going on. Chicks are sure to dig that look in the future for its maximized business in the front, party in the back, rebellion down the middle efficiency. 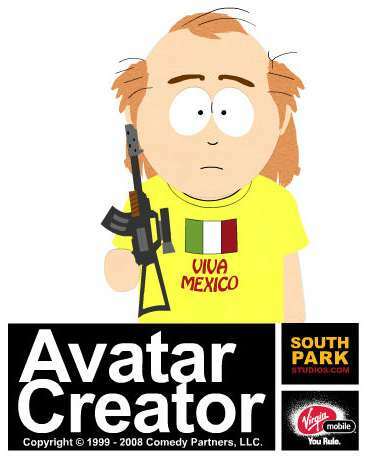 So, all in all, South Park Studios, even though it is still in beta, is already a sweet success.